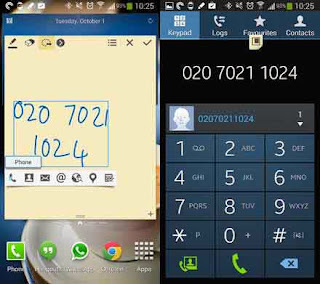 In this post, you will learn how to add and delete contacts on your Samsung Galaxy Note 3. I included a little extra in this category, how to assign a contact to Speed Dial. Any one who have been using an Android smartphone for quite some time now should learn how to do these processes but there are still people out there who might need to be guided accordingly in managing contacts in their new phone, hence, this guide. Go back to the Home screen and tap Apps icon. Tap Contacts and if necessary, tap the Contacts tab. Tap the Add Contact icon or the little "+" plus sign. Now choose where you would want the contact to be saved. Your options are Device, SIM and Add New Account. Tap the Name field to bring the keyboard up so you could enter the information you needed to add. Tap Save when everything is finished. Tap the Menu key, then Delete. Check the boxes of contacts you want deleted. If you want to clear your phone book, tap Select All to delete all contacts. Tap Delete, then OK to confirm your action. Go back to the Home screen and tap the Phone icon. Tap the number you want to assign. Tap the contact you want to assign to the speed dial number. If the contact has more than one number, tap the desired number. There you go. I hope this guide could somehow help you manage your contacts on your Samsung Galaxy Note 3 well.